The Saturn if ideal if you primary motivation for buying a hot tub is to relax and enjoy the benefits that hydrotherapy can bring, this top of the range luxury hot tub really is designed for the top end of the market and is available in 5 different colours. The specifications for the Saturn are fantastic including two 2 HP pumps that push the water through 50 jets. There are 18 built in LED lights and 3 headrests including one for each of the loungers and the Saturn also comes with the top of the range audio system. 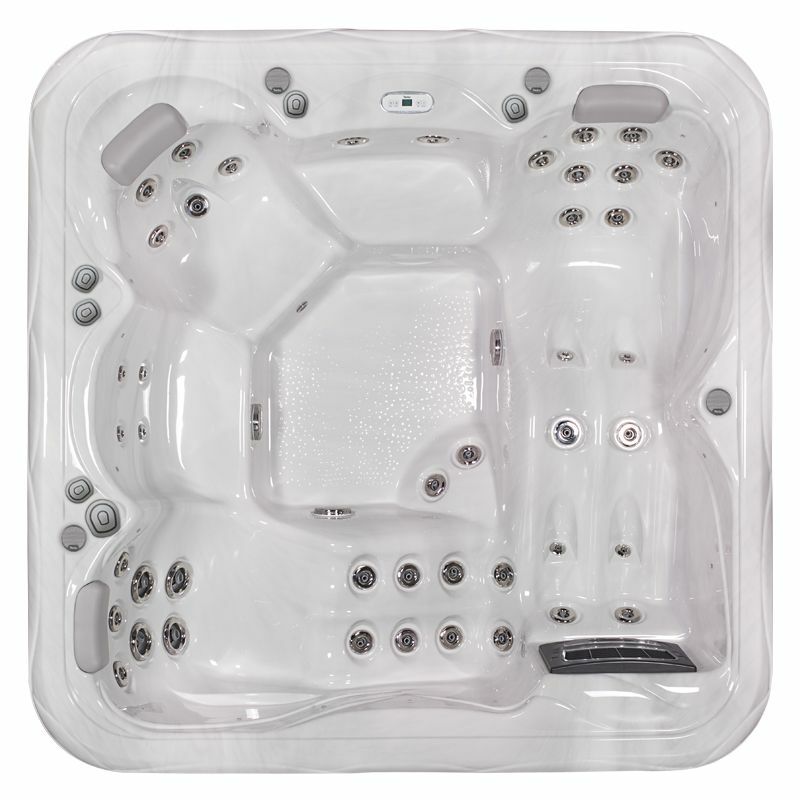 This is a luxury hot tub that offers space and the latest in design and build quality, one other element that you will also love about the Saturn is the price, for a hot tub of this size, it comes at an exceptionally low price.